The 5 Terre is a region that consists of five small villages (Riomaggiore, Corniglia, Manarola, Vernazza and Monterosso) which cling to the Ligurian cliffs along Italy’s western coast (Italian Riviera). The Hotel Marina is the 5 Terre Monterosso hotel and it lies in a quiet area, 100 meters far from the sea, the beach and the beginning of the hiking path to Vernazza in the wonderful scenery of the Cinque Terre. Located in the heart of the old town, the main entrance of Hotel Marina is hidden in an old street, in a very quiet place, far from the noise of the train and of the main square, but close to everything, at few steps from all the restaurants and shops, boats and hikes. All the five villages of the Cinque Terre are pedestrian areas to offer visitors a nice holiday without car traffic. You can get easily from our hotel to the five villages by train, boat or trail and the cities of art Genoa, Pisa, and Sarzana are easily reachable by train. Upon arrival, you can choose to park your car either in a free parking place or in a paying car park (cost: 18,00 Euros a day). Follow the signs for Levanto and for Monterosso. After Levanto, the road opens onto the hills. The road takes you atop the hills above Monterosso. Feel free to take pictures. Schedule: For further information about time and frequency, contact the italian railway company Trenitalia. The closest international airports to Monterosso are Genoa Colombo and Pisa Galilei. From both airports it is possible to reach the two main railway stations from Genova by bus, from Pisa by train every 20 minutes. The trains to Monterosso are frequent. The Cinque Terre National Park is paradise for trekking lovers who will find trails of varying difficulty but always accompanied by a beautiful sea view! Discover the pearl of the Cinque Terre: Monterosso al Mare. Accommodation at the hotel, visit to the old historical centre through the typical “carugi” (narrow streets) and the various little shops selling the local handicraft products. Short and peaceful walk to the monastery of the Capuchin monks where you can read a book in silence overlooking the sea. The Convent of Monterosso al Mare, belongs to the Order of Minor Capuchin Friars of Province of Genoa, and it has always been a place of reference for the local community and visitors of Cinque Terre. The Church is in capuchin style with choir and altar made of wood. The monastery is part of the UNESCO heritage. 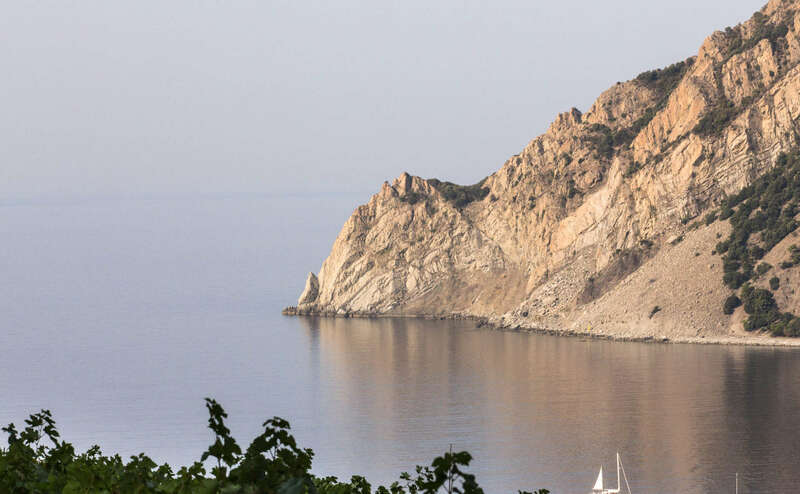 The Cinque Terre boasts some of the best coastline hiking-trails. The Cinque Terre boasts some of the best coastline hiking-trails in the world. The path from Riomaggiore to Manarola is called the “Via dell’amore” ( or roughly “Lovers walk”) The trails from Riomaggiore to Monterosso offers incredible views of shore. For those that would rather not walk (or not walk the entire trail) a padestrian ferry service runs to all five Villages, plus Lerici, Portovenere and Portofino. You will find the timetable of the ferries and trains at the front desk. While the footpaths connecting “Cinque Terre” are among the vineyards and overlook the sea, today we recommend you a short walk through the woods. You can reach Levanto in three hours and when you are half way you can stop at the ancient hermitage of Saint Anthony and enjoy a traditional picnic. Visit Portovenere from Monterosso al mare. Today the bravest walkers can leave Riomaggiore; in five hours, together with the silence of the nature and the sea, they can reach Portovenere where, beside the wonderful view, they can admire the famous Byron cave. The archipelago of Poets, reachable by boat from Lerici. You can reach Lerici by train and visit the village and its castle. Then you can go by boat through the Poets’ bay and reach Palmaria island where you can walk for one hour among the ruins of the look-out point of the last World War. Trip boat to Portofino from the Cinque Terre. In spring and summer we recommend a beautiful trip by boat while during the other periods of the year we suggest a trip by train to Portofino, an ancient village located in a small bay sheltered against the wind, a walk to S. Fruttuoso and then Camogli.